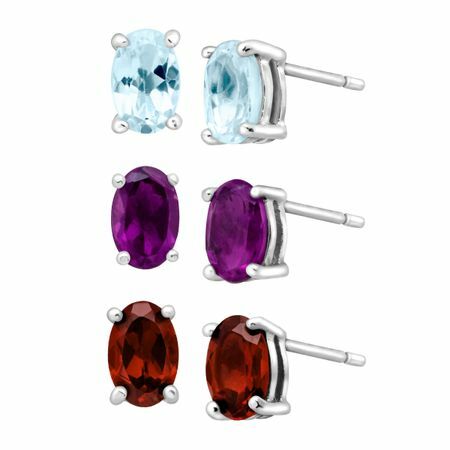 Have your way everyday in a set of earrings that will compliment a multitude of looks. Oval-cut 6x4 mm natural sky blue topaz, garnet and amethysts for a total weight of 2 3/8 ct are set in sterling silver. Pieces measure 1/4 by 3/16 inches.